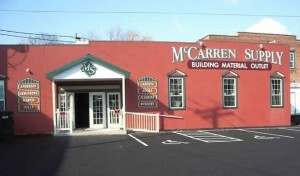 McCarren Supply is a surplus building materials outlet specializing in doors, windows and cabinetry. Save 30-70% off the retail price of building materials. Name brands such as Marvin, Andersen, Armstrong, American Standard and more. The Lowe’s story began in North Carolina more than 59 years ago when H. Carl Buchan, part owner of the North Wilkesboro Hardware Company, envisioned creating a chain of hardware stores. At the time, Lowe’s was a typical, small town hardware store selling everything from overalls and snuff to wash tubs and work boots. Lowe’s even sold horse collars at its first store in downtown North Wilkesboro. Carl Buchan later bought-out his brother-in-law and partner, James Lowe, and foreseeing the post-World War II building boom, concentrated on selling only hardware, appliances and hard-to-find building materials. By eliminating wholesalers and dealing directly with manufacturers, Lowe’s established a lasting reputation for low prices. Sales grew over time and additional Lowe’s stores opened in neighboring towns throughout western North Carolina. The company went public in 1961, and began trading on the New York Stock Exchange in 1979 (NYSE: LOW). During this time, U.S. housing starts soared and professional builders became Lowe’s loyal customers, accounting for the majority of Lowe’s business. In 1982, Lowe’s had its first billion-dollar sales year, earning a record profit of $25 million. Lowe’s stores then reported serving a new type of customer: do-it-yourself homeowners seeking to improve the value of their properties. Anticipating their needs while still accommodating contractors, Lowe’s began to enlarge its stores and expanded its merchandise offerings. Lowe’s prototype store today is 116,000 retail selling square feet — compared with the typical 11,000-square-foot Lowe’s stores of the 1980’s. Lowe’s stores stock 40,000 products and have another 500,000 items available by special order– offering practically everything customers need to build, beautify and enjoy their homes. Lowe’s uses the latest technology to track and order inventory and help customers create solutions for their home improvement projects. Home Depot, Founded in 1978 in Atlanta, GA, The Home Depot® is the world’s largest home improvement retailer. 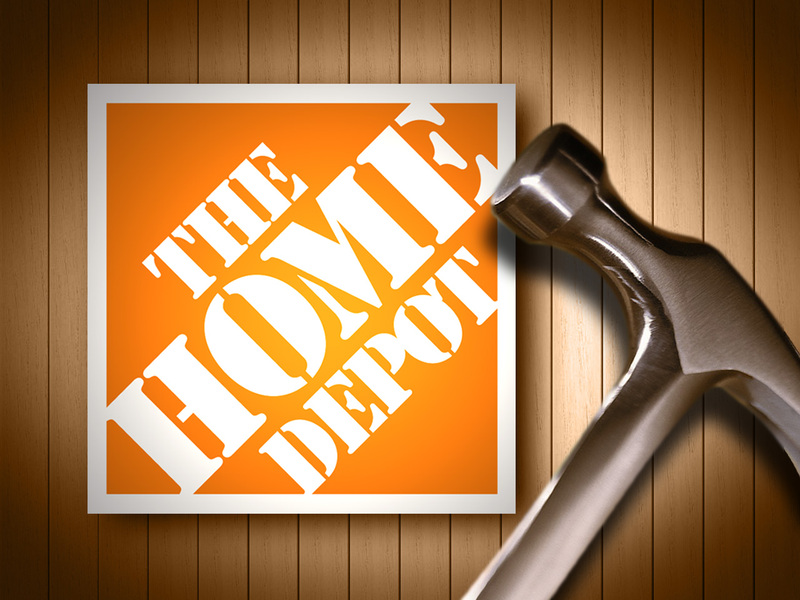 At the end of the fourth quarter of fiscal year 2003, the company’s portfolio includes 1,707 stores, including 1,515 Home Depot stores in the United States, 102 Home Depot stores in Canada and 18 Home Depot stores in Mexico. The company also operates 54 EXPO Design Centers, 5 HD Supply stores, 11 HD Landscape Supply stores, two Home Depot Floor Stores and businesses operating under The Home Depot Supply brand. The Home Depot is committed to offering the ultimate home improvement shopping experience. With about 40,000 different products, trademark customer service and guaranteed low prices, Home Depot stores cater to do-it-yourselfers, as well as home improvement, construction and building maintenance professionals.